Lovely pink, purple and golden flowers on a china background. 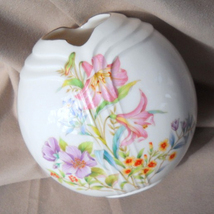 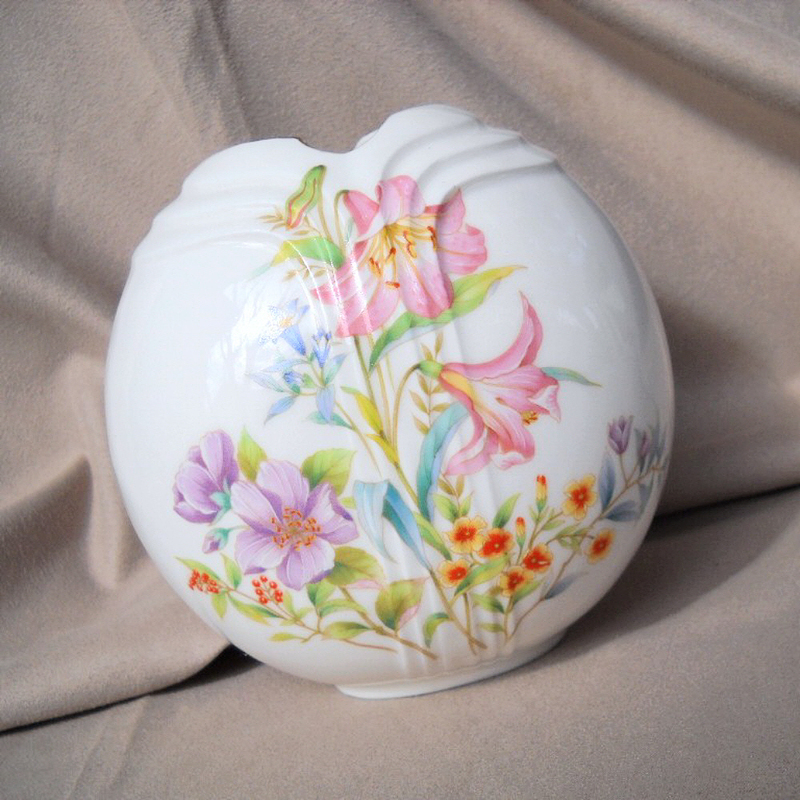 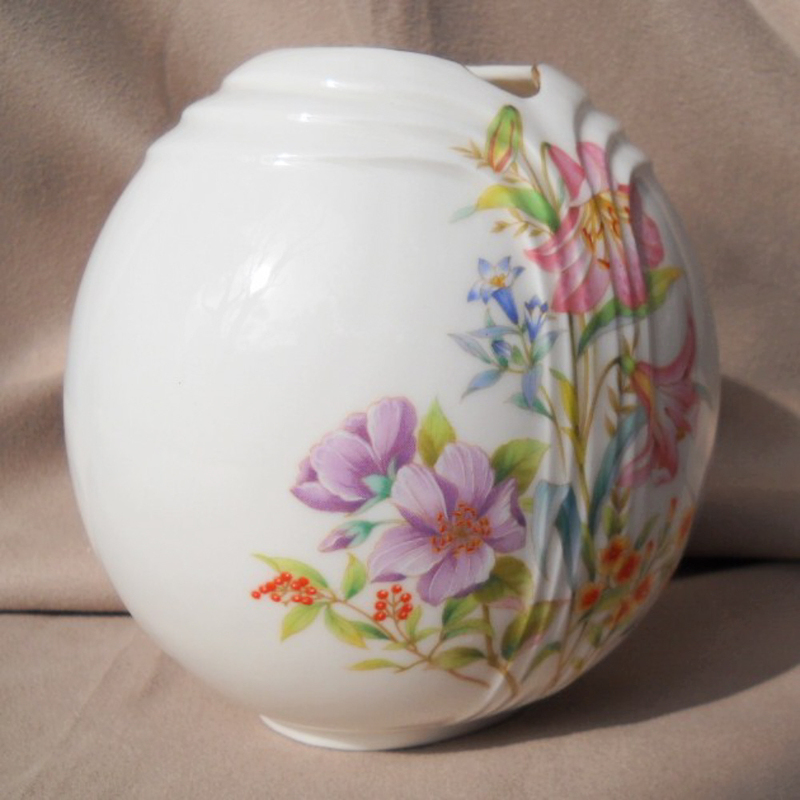 Made by Flambro and called Spring Fantasy, this vase was made in Japan. Beautiful item to add to your collectibles Very unique opening. Measures 4 1/2 inches high, 4 1/2 inches across 3 1/2 inches deep. 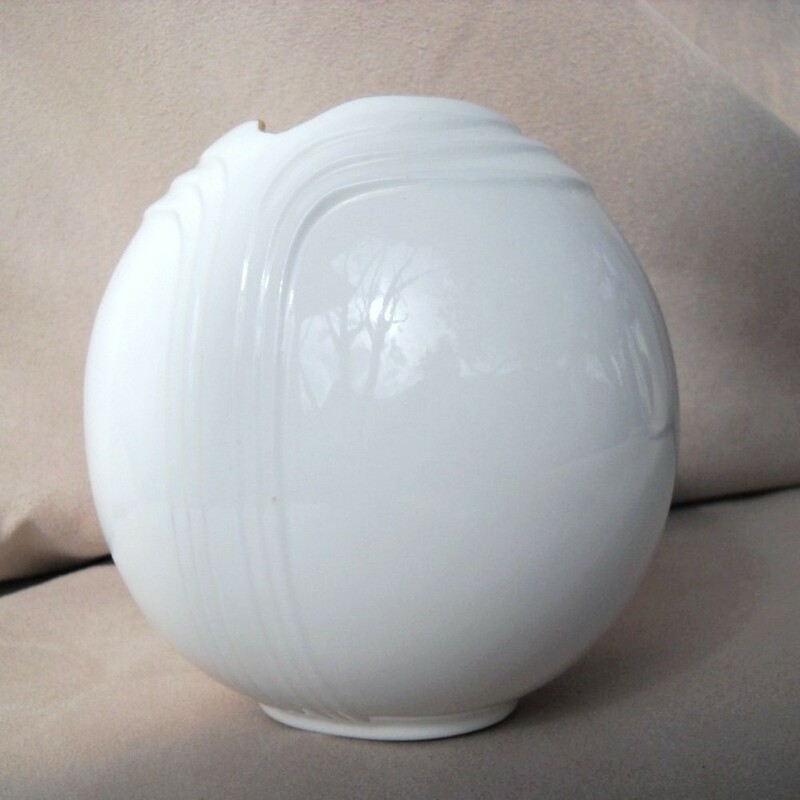 Great shape, no chips or cracks.